Open positions: If you would like to work with me on big data science research in the beautiful Greater Vancouver area, please email me your resume, a copy of undergraduate/graduate transcripts, and a short statement of research interests, with the following subject: [PhD/Master/Visiting Application] Name+Major+School. Our lab's research is generously supported in part by NSERC, PHEMI, Simba, Traction on Demand, UMF, Vancity. 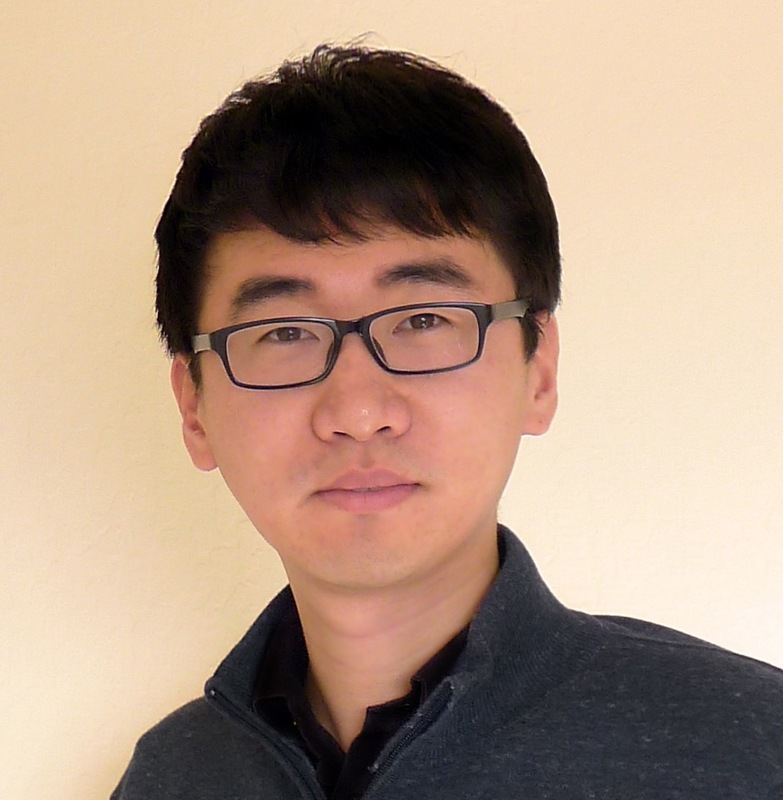 Welcome new lab members: Xiaoying Wang (M.Sc.) and Lydia Zheng (Undergrad)! Congratulations to Mohamad Dolatshah for successfully defending his M.Sc. thesis. Ruochen Jiang*, Changbo Qu*, Jiannan Wang, Chi Wang, Yudian Zheng. Towards Extracting Highlights From Recorded Live Videos: An Implicit Crowdsourcing Approach. Jing Nathan Yan, Oliver Schulte, Jiannan Wang, Reynold Cheng. CODED: Column-Oriented Data Error Detection with Statistical Constraints. Pei Wang, Ryan Shea, Jiannan Wang, Eugene Wu. Progressive Deep Web Crawling Through Keyword Queries For Data Enrichment. SIGMOD 2019, Amsterdam, The Netherlands. Mohamad Dolatshah*, Mathew Teoh*, Jiannan Wang, Jian Pei. Jinglin Peng, Dongxiang Zhang, Jiannan Wang, Jian Pei. SIGMOD 2018, Houston, TX, USA. Pei Wang, Yongjun He, Ryan Shea, Jiannan Wang, Eugene Wu. SIGMOD 2018, Houston, TX, USA. (Demo) (system, video). Chengliang Chai, Ju Fan, Guoliang Li, Jiannan Wang, Yudian Zheng. KDD 2018, London, UK (Tutorial). Guoliang Li, Jiannan Wang, Yudian Zheng, Ju Fan, Michael J Franklin. Crowdsourced Data Management: Hybrid Human-Machine Data Management. Liwen Sun, Michael J. Franklin, Jiannan Wang, Eugene Wu. Skipping-oriented Partitioning for Columnar Layouts. Guoliang Li, Yudian Zheng, Ju Fan, Jiannan Wang, Reynold Cheng. Crowdsourced Data Management: Overview and Challenges. Dependable Data Repairing with Fixing Rules. Chuancong Gao, Jiannan Wang, Jian Pei, Rui Li, Yi Chang. Sanjay Krishnan, Jiannan Wang, Eugene Wu, Michael J. Franklin, Ken Goldberg. ActiveClean: Interactive Data Cleaning For Statistical Modeling. VLDB 2016, New Delhi, India. Daniel Haas, Jiannan Wang, Eugene Wu, Michael J. Franklin. CLAMShell: Speeding up Crowds for Low-latency Data Labeling. Lingyang Chu, Zhefeng Wang, Jian Pei, Jiannan Wang, Zijin Zhao, Enhong Chen. KDD 2016, San Francisco, CA, USA. Sanjay Krishnan, Jiannan Wang, Michael J. Franklin, Ken Goldberg, Tim Kraska. PrivateClean: Data Cleaning and Differential Privacy. SIGMOD 2016, San Francisco, CA, USA. Sanjay Krishnan, Michael J. Franklin, Ken Goldberg, Jiannan Wang, Eugene Wu. ActiveClean: An Interactive Data Cleaning Framework For Modern Machine Learning. Xu Chu, Ihab F. Ilyas, Sanjay Krishnan, Jiannan Wang*. Data Cleaning: Overview and Emerging Challenges. Guoliang Li, Jiannan Wang, Yudian Zheng, Michael J. Franklin. Crowdsourced Data Management: A Survey. Sanjay Krishnan, Jiannan Wang, Michael J. Franklin, Ken Goldberg, Tim Kraska, Tova Milo, Eugene Wu. Data Engineering Bulletin 38(3):59-75 (2015). Daniel Haas, Sanjay Krishnan, Jiannan Wang, Michael J. Franklin, Eugene Wu. Wisteria: Nurturing Scalable Data Cleaning Infrastructure. VLDB 2015, Kohala Coast, Hawai'i (Demo). Sanjay Krishnan, Jiannan Wang, Michael Franklin, Ken Goldberg, Tim Kraska. Stale View Cleaning: Getting Fresh Answers from Stale Materialized Views. VLDB 2015, Kohala Coast, Hawai'i. Yudian Zheng, Jiannan Wang, Guoliang Li, Reynold Cheng, Jianhua Feng. QASCA: A Quality-Aware Task Assignment System for Crowdsourcing Applications. Adapted from a template by Liwen Sun.